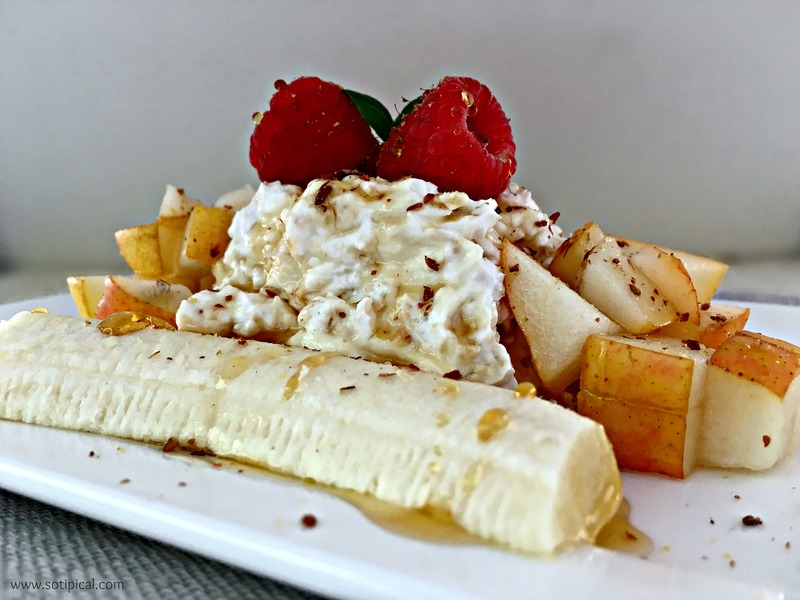 Start your day with this heart healthy, cholesterol lowering Breakfast Banana Split! Its like eating dessert for breakfast, only its good for you! 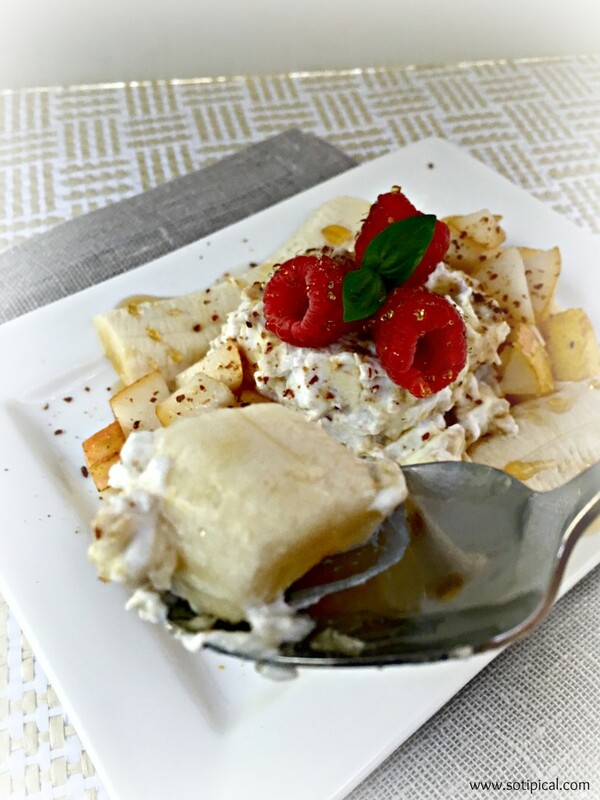 A sweet, creamy and delicious breakfast that your whole family will enjoy! I recently made the decision to lower my cholesterol. Though I am below 200 total cholesterol, heart disease runs in my family so I am at a higher risk. I decided to take 3 months to alter my eating plan to raise my HDL(Good Cholesterol) and lower my LDL (Bad Cholesterol). This should reduce my total cholesterol reading. Soluble fiber can help reduce the absorption of cholesterol into your bloodstream. Oats and pears contain soluble fiber. I try to eat oats every day. Other cholesterol lowering foods include: Avocados, Apples, Fish, Omega-3 Fatty Acids, Nuts, Beans, and Red Wine. Of course exercise is probably one of the best ways to lower your LDL (Bad Cholesterol). But you don’t need to be worrying about your cholesterol in order to enjoy a Breakfast Banana Split! 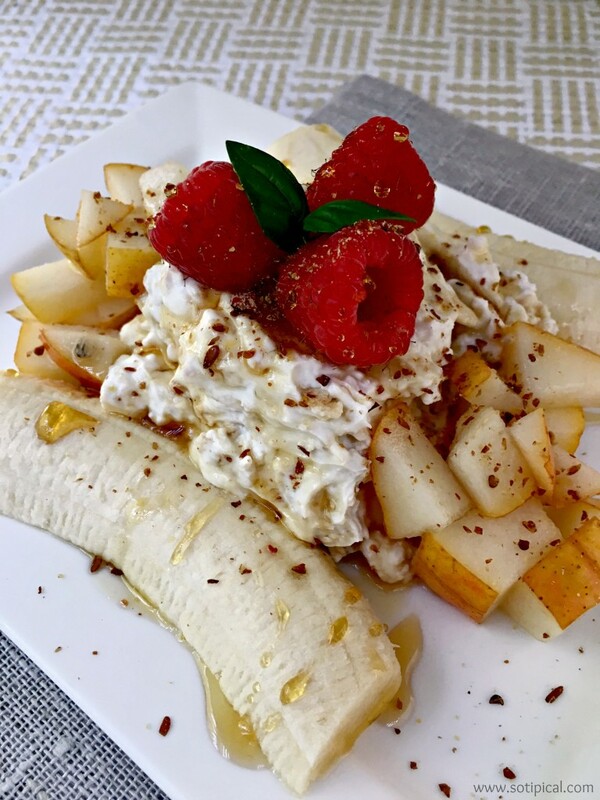 You can make your Breakfast Banana Split with a variety of fruits and yogurt flavors to come up with several yummy options! Begin by mixing the yogurt and the oats together, until the oats begin to soften a little, then set aside. If desired, add a little sprinkle of cinnamon for flavor. Peel and slice the banana, then clean the pear and berries. Chop the pear and now it is time to assemble. 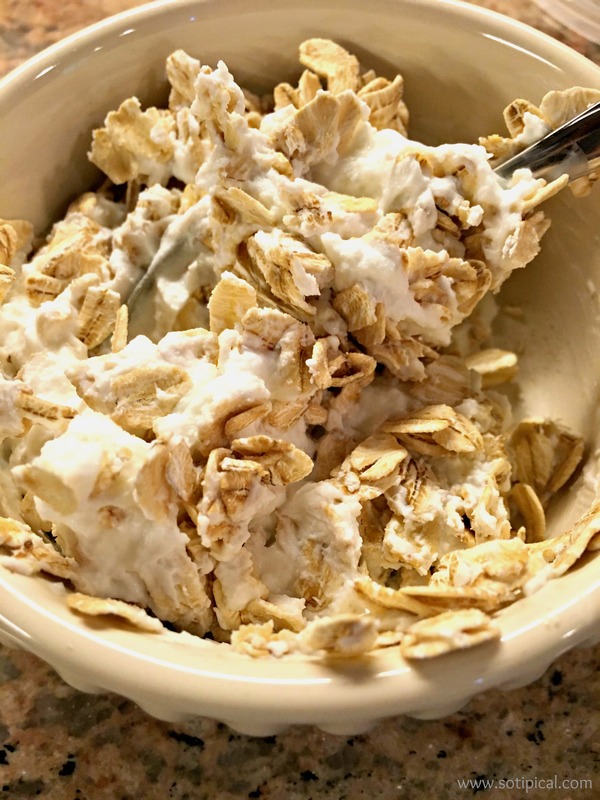 Place the yogurt-oat mixture in the center of your plate or bowl. You can use an ice cream scoop, if desired. You may want to add a light coat of cooking spray to prevent sticking. Next you will add the banana slices to each side then top with the pear cubes. Drizzle your desired amount of honey over the top and sprinkle the ground flax seed. Place your berries on top, as you would a cherry on a banana split. Enjoy! This yummy treat served as a filling, nutritious breakfast. I used a plain, high protein Greek yogurt, but you can use any flavor you wish. Fun idea to get the family to eat breakfast. My kids never want breakfast. My kind of breakfast, YUM!! Banana split for breakfast? That works. Love it.